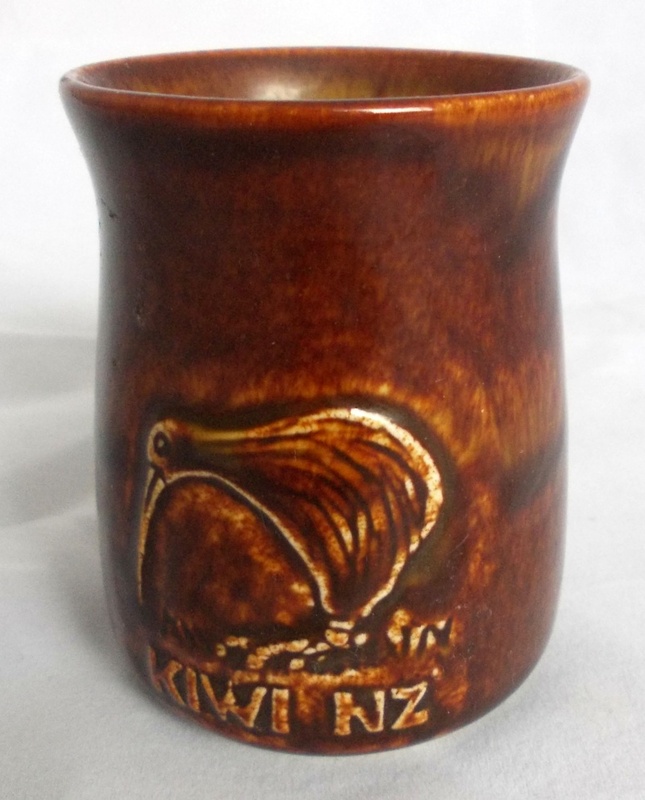 M. Aspinall for Kotuku brown Kiwi bird mug. 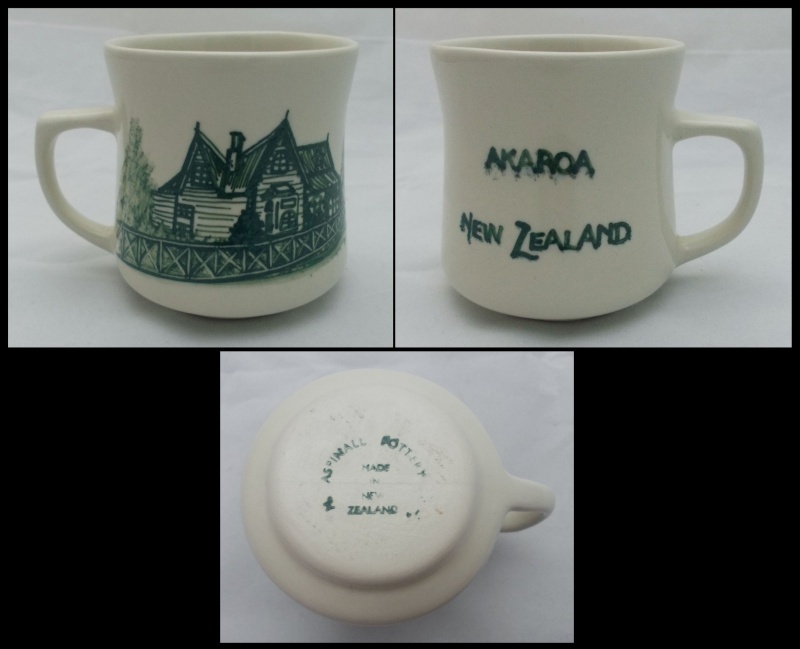 Re: M. Aspinall for Kotuku brown Kiwi bird mug. 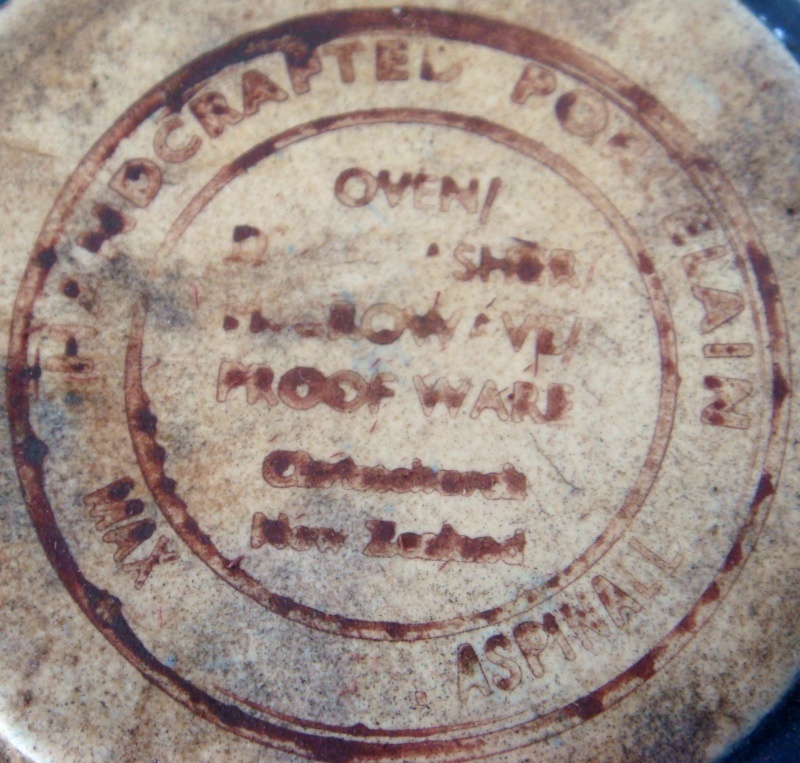 How odd is this, as Kotuku made some wonderful studio pottery and Max Aspinall made slipcast ware. I wonder if it's just a coincidence or what? I will add that stamp to the Gallery to give it a wider audience and maybe something will come of it. 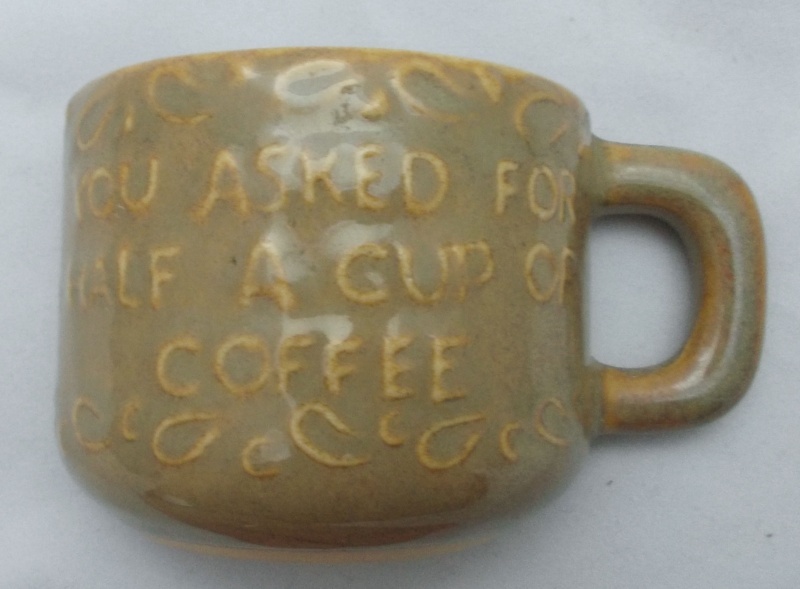 More Aspinall mugs with different back stamps. 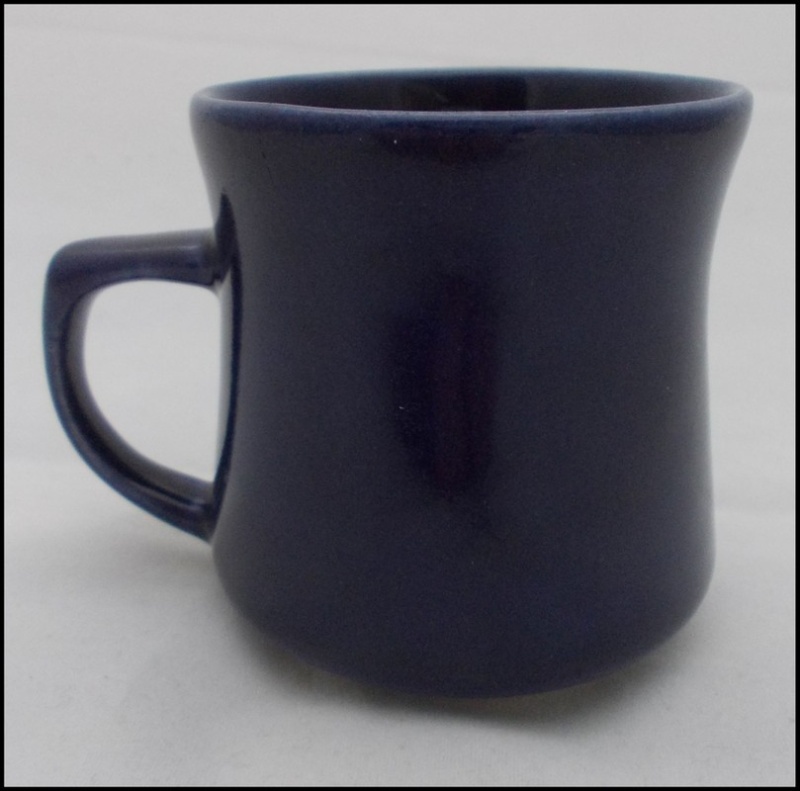 I think this shape is like EV's National mug. I can see 'Handcrafted Porcelain' which intimates many differences to his work. I think it says 'oven, dishwasher microwave proof ware'. 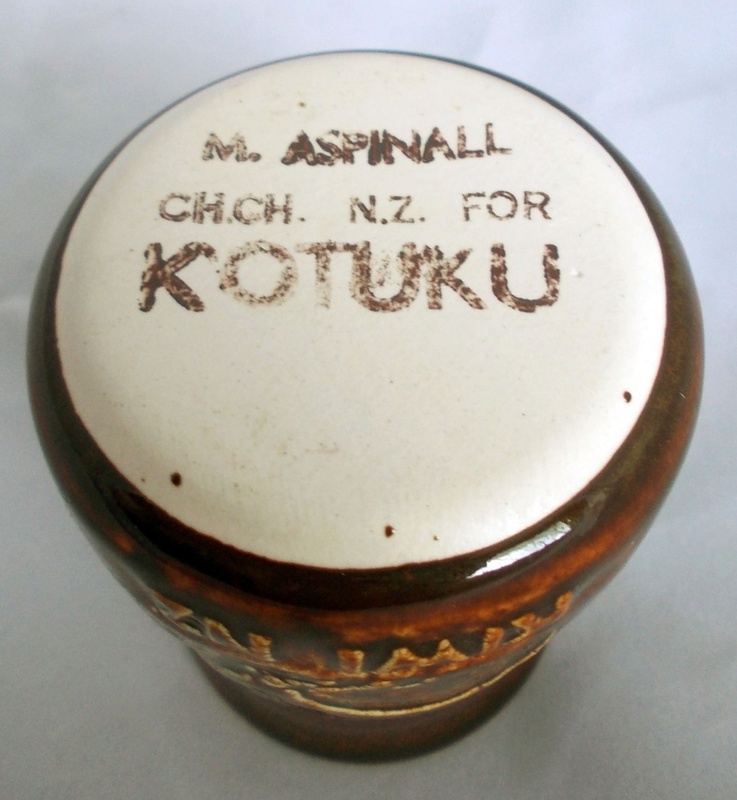 I have a set of egg cups, a utensil holder and a jar with a cork in the blue colour, all with the Aspinall mark on bottom. It feels a bit fragile but I am using it all because I love that colour. 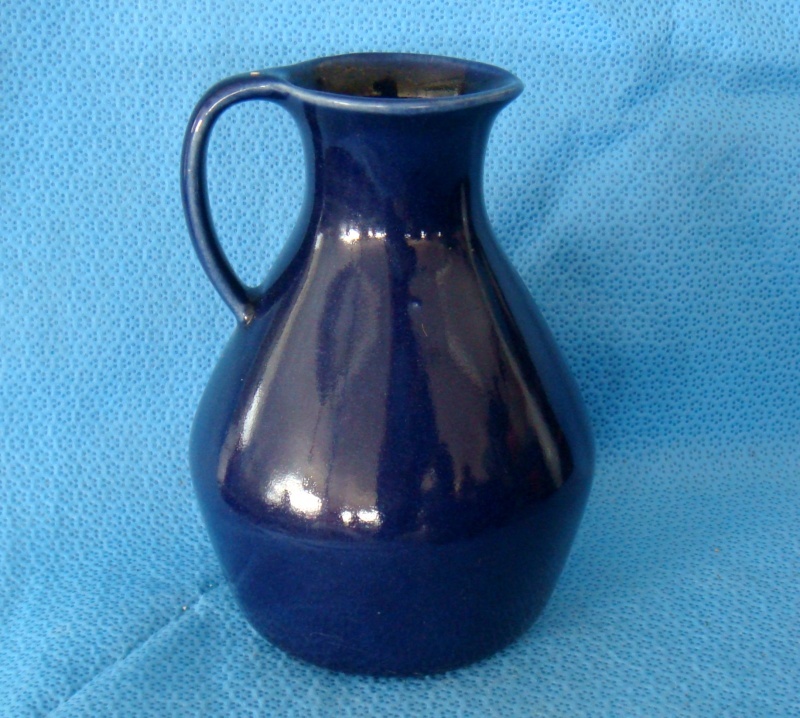 A nice blue cup with the same back stamp as Mum1 little jug.